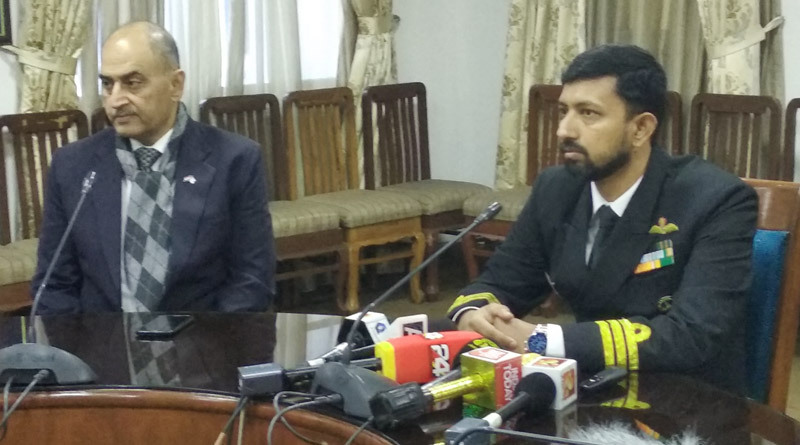 Lt Cdr Abhilash Tomy, who was stranded in a boat in the deep south of the Indian Ocean in September 2018 while on a race around the earth, is confident of taking on the oceans once again. The first ever Indian to circumnavigate the earth, Abhilash while addressing a presser in New Delhi, said he wants to go back to the sea as soon as possible, but said it might take him a couple of years to recover fully. Participating in the Golden Globe Race, which started from France, along with 9 other sailors, Abhilash was on an arduous journey, unassisted by any modern navigation, on a 30,000 mile solo and non-stop race around the globe. The storm hit him when he was around 1900 nautical miles from Perth, Australia. His boat was knocked down, with its boom broken and everything thrown around. “Our worst fears had come true, the storm had hit me where I had nowhere to go,” he remarks. The waves were about 15 metres high. “When the boat was knocked down, I found myself clinging to the top of the mast, and when it righted itself again I fell from the 9 metre mast on the boom, which caused severe injury to my back,” he said. After being stranded at sea for three days, Tomy was rescued on 24 September 2018 by a French patrol boat, after being located by the Indian Navy’s P8i aircraft. During the time, Abhilash was in constant touch with the race organisers through his only communication device, a satellite phone. “Until today, almost 6000 people have climbed the Mount Everest and almost 600 have been to space, but the number of solo non-stop circumnavigators on this planet is less than 100,” Abhilash said, emphasising on the significance of the solo circumnavigation. A reconnaissance pilot in the Indian Navy, Lt Cdr Abhilash Tomy had made history when on 6 April 2013, he become the first Indian to circumnavigate the earth under sails – solo, nonstop and unassisted. He had set sail out of Mumbai on 1 November 2012 in the sail boat INSV Mhadei to undertake a voyage no Indian had attempted before and few had dreamt of.